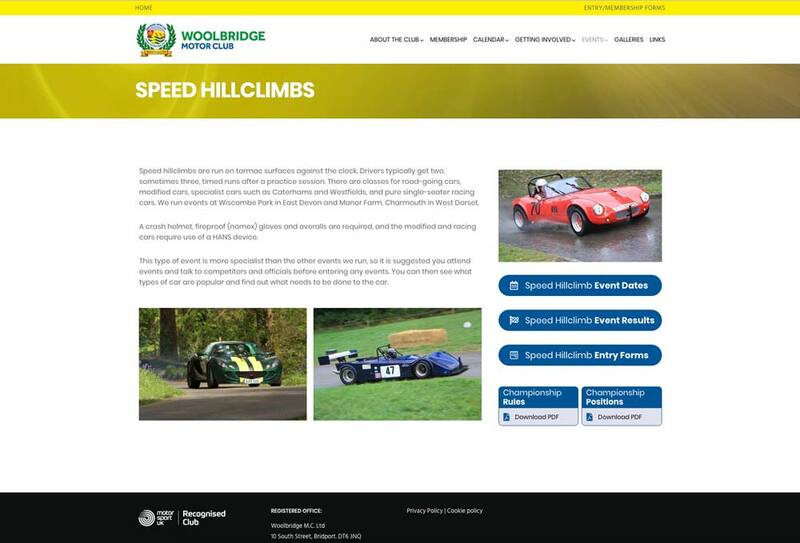 Woolbridge Motor Club has been a client for a couple of years. They first approached us when they learnt about an online entry forms system we had set up on another website. 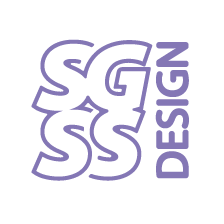 Initially, we set up the same system as an addition to their existing website. 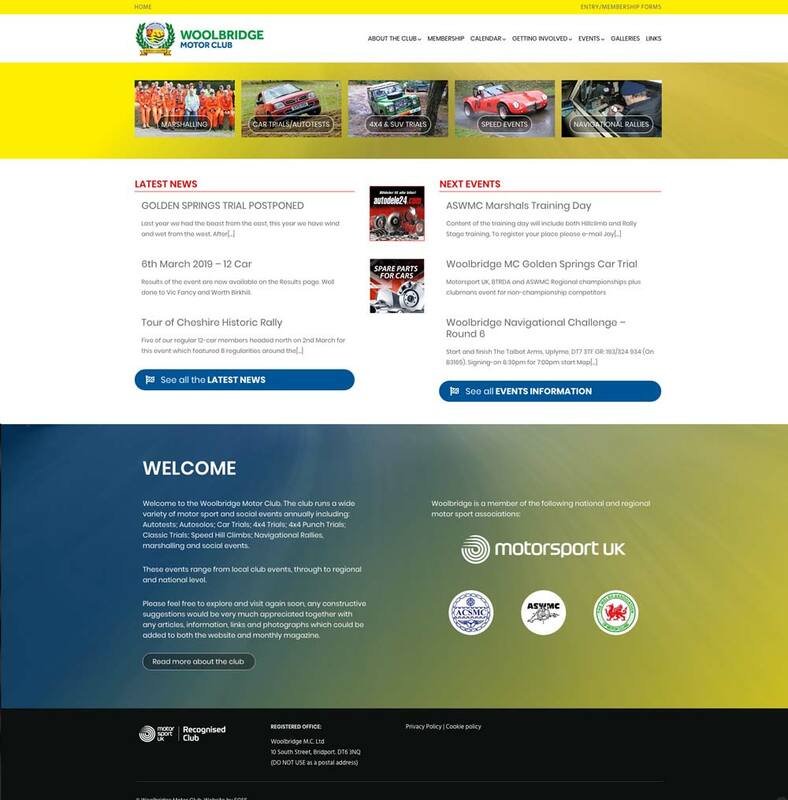 They later decided to revamp the whole website and we were again commissioned to do this. The forms part, of the site existing site, utilised WordPress together with a form management plugin. As the club was now familiar with WordPress we used this as the platform on which to build the rest of the site. The forms part was easily transferred over to the new site. The built-in blog, that is part of WordPress, was used as a way to easily and quickly add useful information to the website. A plugin specifically for managing events was installed. The entire year of events was entered into the system. It covers all the information members need. This includes the date and description, the organisers’ and venue details. A Goole map link is used to get directions to the venue. 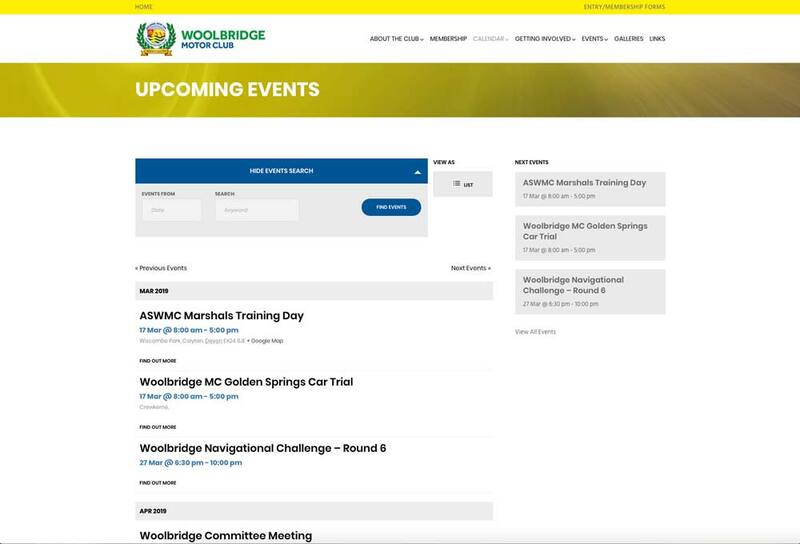 The system allows for event categorising and includes a search facility. Users can choose to view events in a list, or as a calendar in a week or mouth views. A static WordPress page using additional layout tools. The events calendar in list view.